A compilation of alternate versions, studio outtakes and rare live performances spanning the albums "Oh Mercy", "Under the Red Sky", "World Gone Wrong", "Time Out Of Mind", "Love & Theft" and "Modern Times". It also includes rare tracks off soundtrack and compilation albums. 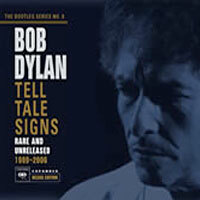 Tracks 28-39 are from the Bonus CD of the Limited Deluxe Collectors Edition, tracks 40-41 are only available on the 7" Vinyl bobdylan.com exclusive.